Give your headshot some life! Introduce your team with video head shots! Give your LinkedIn profile some personality! In a world of text and long lists of accomplishments, you have only seconds to grab someone’s attention. Future business prospects will make a decision whether they want to do business or not with you based on if they like you. The best way to present yourself in this precious golden window is with a video head shot. Video head shots are great consumable content to use on your companies about or team page. There is no reason for prospective clients to read a long bio about your staff anymore if you introduce them with a video head shot. 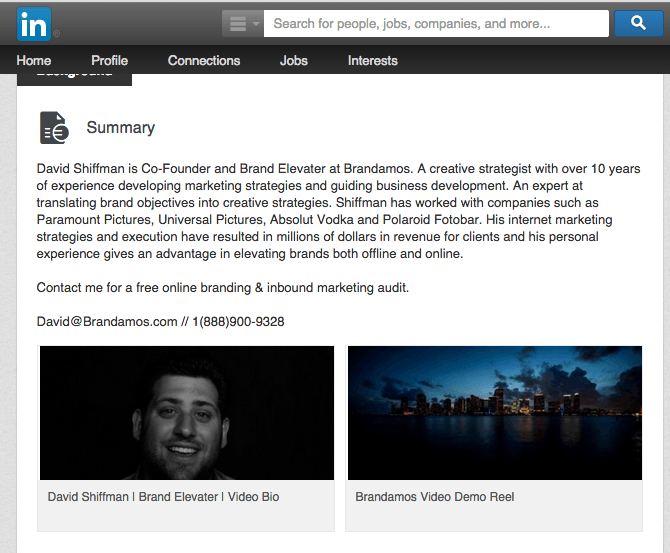 Video head shots are also great for social profiles like Linkedin. Contact us today to get your video head shot! Who Is a Video Headshot Useful For? Anyone! If you have a social media profile or a website, a headshot video that gives visitors, customers, or friends a flash of your personality can help people understand who you are and resonate with them. Video head shots are great for corporations as well. They are something that distinctively separate your company from your competitors to show how much you care about your team of employees. With our “Script Elevaters,” we help your squad elevate their personality so that it radiates with life on camera. Got questions?